Did you know you can receive Los Angeles DUI charges for driving under the influence of illegal or prescription drugs? If not, this story involving two Pittsburgh Steelers players may be of particular interest. On Wednesday, August 20, police stopped LeGarrette Blount and Le’Veon Bell, two Steelers running backs, on suspicion of marijuana possession. 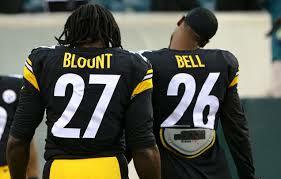 The two were on their way to the airport to fly to a preseason game; instead, they now face DUI charges. The driver, Bell, admitted to having purchased and smoked the marijuana; however, he claimed not to have been aware he could be subject to DUI charges as a result. After Bell failed a sobriety test, police took him into custody and transported him to a hospital for a blood test. Although this incident occurred in Pennsylvania, the circumstances remain similar to what could happen to a driver in California. When it comes to DUI, the state penal code views drug intoxication and alcohol intoxication in the same way. When police pull over a driver for a suspected drug DUI, they must observe erratic or otherwise suspicious behavior. Since a breathalyzer test cannot detect the presence of illegal or prescription drugs, the suspect must often complete a blood or urine test. Admission of guilt or physical presence of drugs in the vehicle are additional incriminating factors for drug DUI suspects. Many drivers in California are currently unaware they are committing a crime by driving under the influence of illicit – or even legally prescribed – drugs. Unfortunately, unfamiliarity with state law does not exempt them from the consequences of a drug DUI, which can include fines, imprisonment, loss of license, and other penalties. Defending yourself against DUI charges can be a difficult and overwhelming process, but a Los Angeles DUI attorney can help. To discuss your legal options, contact the experienced professionals at the Kraut Law Group today.